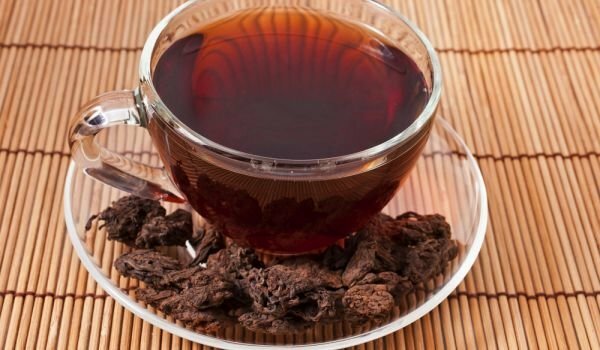 Drink Pu-erh tea for weight loss, a rare type of tea coming from Yunnan, China. When it is of high quality, this tea has a deep, rich flavor while the one with a bad taste reminiscent of something unpleasant and moldy. Its taste and health benefits make it a preferred option especially if you overdo it. In traditional Chinese herbal treatment, pu-erh tea is believed to open the meridians, “warm the middle” (the spleen and the stomach) and is useful for blood cleansing and digestion. It is for these reasons that it is often consumed after heavy meals or as a hangover healer. Some studies have shown that it can lower cholesterol and blood pressure and increase metabolism. 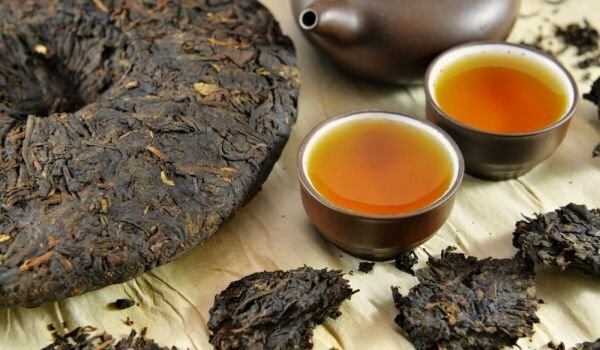 Pu-erh is defined as dietary tea, but by consuming it, we should not take it as a magical weight loss tool but rather as a nice part of healthy eating. Pu-erh is produced from the leaves and stems of the same plant, which is also used to make green, Ulong and black teas. Although the same source is used, different teas are produced using different processes. Green tea is not fermented, Ulong tea is partially fermented, black tea is completely fermented, and pu-erh tea is post-fermented. This means that the treatment of this tea involves both fermentation and long-term storage or “aging” at high humidity. he long aging process. This aging process can take up to 15 years to get the dark color and taste expected by this tea. However, in the 1970s, this process was developed to accelerate the production of the final product. Studies have shown that Pu erh significantly suppresses the synthesis of fatty acids. This means you can literally block your body from producing more fat. Although there is some caffeine, it will help you sleep better. By drinking it, you increase the production of natural melatonin in the brain, resulting in reduced stress, stabilized mood and improvement in sleep quality. Pu-erh’s production is highly controlled – only tea coming from Yunnan province can be called Pu-erh. So if you’ve decided to enjoy this treasure from China, you must follow the label of origin.